I have a philips 5.1 channel speakers and i want to connect it to my desktop. I need to know what all devices i need to interface the speakers to my desktop. Level 6 Cables. One of the following, depending on your speakers input, also you may need 3 or 1 set, again it depends on the speakers. Level 4 And don't forget to test it with 5.1 source to get output from all speakers. After figuring out the connection issues. Level 1 Sorry i had forgot to mention the model. Philips 5.1 Home Theatre System DSP-35E. This system is for TV. 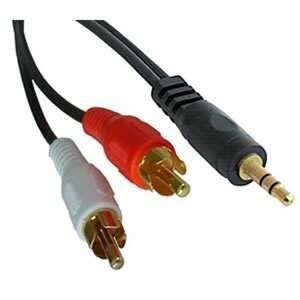 What you need to make sure before getting 3 of the above cables is to see what audio ports you have on your computer. If you're on a desktop machine is very likely to have Headphones + Mic + Line In. If that's the case you'll only need cables. This will not work if your 5.1 relies on a power from the DVD, but I think your 5.1 is self powered. Level 1 I was looking for such information and so pleased to find here. I'm also using a 5:1 Panasonic Home Theatre System DSP-35E and wanted to do same process. Hopefully here mentioned ways will be helpful for me. Perth electricians Thanks.